When you have a hammer everything looks like a nail, or so the adage goes. One thing was obvious after the terrible murder in Woolwich, how it would bring out the usual suspects and their agendas. With their predictable hammers they banged on as you would expect, whatever their favourite topic they dragged it in. On the right of the political spectrum, the Tories are using it as an excuse to bringing Draconian surveillance legislation. The Far and the Extreme right want to stir up racism and initiate a race war. However, some on the fringes of the Left, who should know better, are trying to capitalise on this situation too. Rather than acknowledge that the accused were probably psychopaths, or at the very least twisted and almost completely alienated from humanity, instead we were treated to George Galloway making an awful comparison with Syria. Kate Hudson using it as a backdrop to mention drones and seem pious. Even the ludicrous Lindsey German gave us her tuppence worth. In each case, agendas were hoisted up and waved around. The far simpler answer that these individuals were troubled or possibly psychotic didn’t even come into it. But the Woolwich murder was just one chance these political opportunists could not resist exploiting. Their own detachment from humanity means that the usual suspects can’t see anything objectivity, except as a opportunity to misuse, gaining publicity for their own largely irrelevant and sordid ideas. In many respects, the usual suspects in Britain are similar to the National Rifle Association. Not that they like guns, but they too have no insight or introspection so they bring out the same answers, no matter the questions. Remember how NRA officials argued that more guns would have stopped the Sandy Hook shootings? No matter the counterarguments, no matter the irrationality of that line of reasoning, that is what they held to. Wait until the next atrocity occurs and the usual suspects will do the same, trot out their agendas looking for nails. It is small wonder that, after decades, they are political failures buried in the ramshackled ideologies of the 20th century. 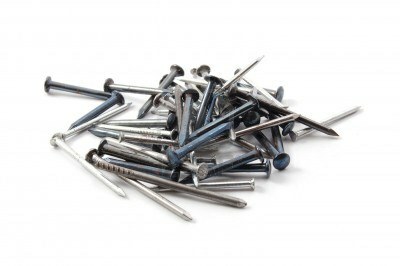 It is time for less hammers looking for nails and a greater grasp of human psychology, even the psychotic side. “Yet when the killer’s cause is the matter of western intervention in Muslim countries, it seems some left voices find their previous fastidiousness has deserted them. Cue a BBC interview with Ken Livingstone, who spoke so powerfully after the 7 July bombings in London. Now, he linked Woolwich to Iraq, Afghanistan and the Israeli occupation of the West Bank. Enter the Stop the War coalition, whose statement on Woolwich similarly made the connection with “western foreign policy in the Middle East and south Asia”, ending with the declaration that events had proved their position “absolutely right”. Be in no doubt, Livingstone and the anti-war movement would be appalled if their arguments were played back to them in reverse. Imagine what they would say to the claim that Breivik’s terror vindicated the old rivers-of-blood warnings, predicting that decades of multiculturalism would end in disaster, and now it was time to change course. Consider their reaction if the right had seized on the bombing of the Admiral Duncan pub in 1999, casting it as the inevitable result of a liberalisation of gay rights that was bound to radicalise a certain young male demographic and that therefore a policy shift was in order. Update 2: Another view, Thinking about death, six miles from Woolwich. Update 3: Ken Livingstone has his say. Regrettably, he does not appreciate that some ex-politicians are better remaining silent or people might remember why he lost the voters’ confidence in the first place. Update 4: Talking of opportunists, The Woolwich attack has given the EDL a new lease of life. “What has happened is murder, plain and simple. Perhaps if we called it that it would be easier to solve and resolve, whereas if we call it terrorism we give the criminals a glamour and purpose they do not deserve. Call them killers if they are proven to have killed, and deny them the right to cloak their brutality and lack of reason in a faith, a bad war or the innocents who have died as a result of things their victim had no control over. I find it more terrifying that anyone thinks we should be scared of these people. Killings like this don’t win any arguments or converts. If you feel you have to machete someone to death, you’ve already lost whatever point you were trying to make. “I say to listen, not necessarily to trust. In any circumstances it’s unwise to believe what people say about their motives. If Sophocles, Shakespeare and Freud didn’t teach us that, they didn’t teach us anything. And even to talk of “motives” is crude when it comes to the unseen and often unguessed-at impulses that drive us. But the reasons people give for why they act as they do at least paint a picture of what they think is inside their heads, if nowhere else, and that tells us something. It tells us who they’ve been listening to, for example, and what they’ve been reading. It sheds light on the culture of those we call terrorists – see how careful I’m being – if not their psychology. That it cannot be taken to reflect an impersonal or verifiable truth – any more than it is verifiably true that our rivals are monsters and our lovers paragons – needs no protesting. Cometh the atrocity, cometh Culpability Brown. Does he wait like a spider suspended in the darkness, the opportunity to blame you and me again, reader, the reward for his infinitely banal persistence? Out into the light he crawls, anyway, in the immediate aftermath of every killing, to agree the crime is terrible, unspeakable, yes, but – ah, the callousness of that “but” – we had it coming. I was composing, in my head, some reflections on Gaza’s past eight or so days, but Jonathan Freedland seems to have beat me to it. I think the cheerleaders abroad sentiment, is something we should dwell on. How is it that many in the West take up the pose of football supporters? Cheering on their team irrespective of the murders, the rockets and the crippling inhumanity of prolonged low-level warfare. It is a form of intellectual hooliganism, desensitizing, brutalizing and demeaning. You might not unreasonably expect that some of these cheerleaders would show a degree of sensitivity or reflection, once in a while. However, that doesn’t happen and having encountered both sides in the West I find their entrenched attitudes revolting, almost incomprehensible. “And through it all is the weariness: of those living – and dying – in the conflict most of all, but also of those drawn into it somehow. I feel it myself, a deep fatigue with this struggle, with the actions of both sides and, sometimes especially, with their cheerleaders abroad. So yes, I’m weary of those who get so much more exercised, so much more excited, by deaths in Gaza than they do by deaths in, say, Syria. An estimated 800 died under Assad during the same eight days of what Israel called Operation Pillar of Defence. But, for some reason, the loss of those lives failed to touch the activists who so rapidly organised the demos and student sit-ins against Israel. You might have heard me make this point before, and you might be weary of it. Well, so am I. I’m tired, too, of the argument that “We hold western nations like Israel to a higher standard”, because I see only a fraction of the outrage that’s directed at Israel turned on the US – a western nation – for its drone war in Pakistan which has cost an estimated 3,000 lives, nearly 900 of them civilians, since 2004. I’m tired of those who like to pretend that Israel attacked unprovoked, as if there had been no rockets fired from Gaza, as if Hamas was peacefully minding its own business, a Mediterranean Sweden, until Israel randomly lashed out. I’m tired of having to ask whether any government anywhere would really let one million of its citizens be confined to bomb shelters while missiles rained down. I’m weary of having to point out that, yes, occupied peoples do have a right to resist, but that right does not extend to taking deliberate aim at civilian targets – schools and villages – which is where all but a handful of Gaza’s rockets were directed.